The Summer holidays are just around the corner, and unless you're one of the lucky people who will be going on holiday, then it can be hard to find activities to fill those 6 weeks with the whole family at home. 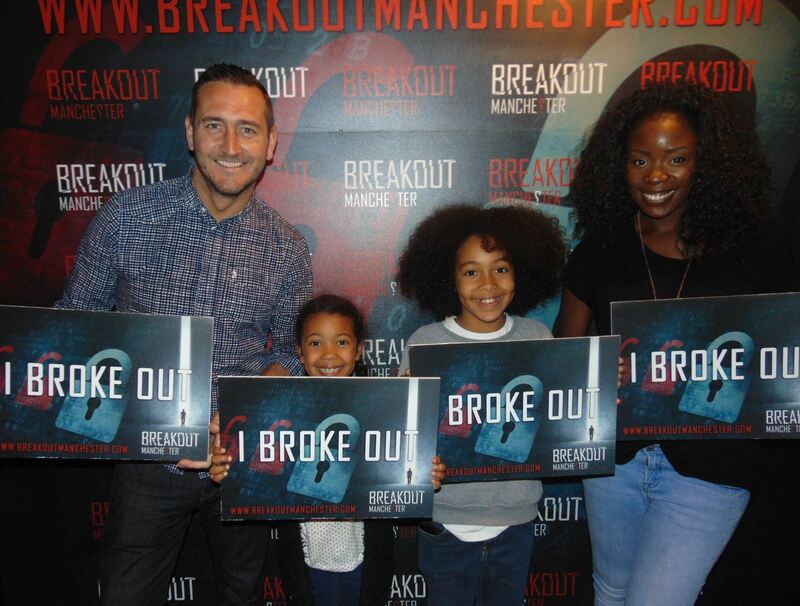 If you think you could stand being locked in a room with your kids for an hour, then Breakout is definitely a great activity for everyone in the family to enjoy! The puzzles can really get the whole team thinking and working together, and is the perfect indoor activities for those rainy days when you'd be otherwise stuck at home. While our rooms are mostly designed for teenage aged players and upwards, the puzzles can definitely be completed by younger children – sometimes they're better at the games than adults! Every room is designed to require an element of teamwork, from putting your heads together to solve a riddle, to working together collecting items around the room, there is bound to be something everyone in the team can work out! Whether you're a group of seasoned escape room players or a bunch of beginners, Breakout Liverpool now has seven rooms each with a varying difficulty level – from the 2 star Cursed Carnival to the 5 star Sabotage, it will be easy to find a theme and difficulty that suits your team. If you're not too bothered about difficulty levels of the rooms, you can always choose your game based on your favourite theme; we have everything from an old sea captain's lost treasure in Shipwrecked, to a fast-paced bank robbery in The Heist! Each room's puzzles are based around their theme, for example Cursed Carnival's story is that the group are returning a cursed prize to its home in the fairground – the puzzles are themed around carnival games, tarot cards and the spooky settings that come with an abandoned carnival. Players with a fear of clowns will be happy to hear there are none in Cursed Carnival, so they can play free of the fear of a clown popping up during the game! On the other hand, if you choose the play the cowboys side of Wanted, the puzzles are centred around its Wild West theme – think old saloon bars and back-room poker games. If your teammates are big fans of Clint Eastwood then Wanted is a great game to play! Some themes may not be suitable for groups with younger players, such as our room The Facility, which has a recommended minimum age of 16 – this is due to the horror theme of the game which may be scary to some children. At the accompanying adults’ discretion, kids can play The Facility but it may not be suitable for very young children – There is a fake 'corpse' in the game, and a very spooky, atmospheric soundtrack that even catches some of our game operators off guard! If the kids don’t want to play without an adult cramping their style during the game, please note that Breakout's policy does require an adult on site if a team of under-16s want to play. If someone aged 16 or over is in the room with the rest of the group, then adult supervision is not required. If Breakout seems to meet the needs of your family day out or you find yourself with some spare time in Liverpool city centre, then come on over to play! You can check the different rooms we have on our website. But don’t forget our Manchester, Chester and Cardiff branches if you find yourself that way as well!